Praia da Luz Portugal - An Algarve Tourism Guide fully Updated for 2019! Praia da Luz is a small and personable resort town situated on the stunning western Algarve coastline. 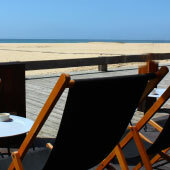 Luz sits around a glorious sandy bay, and combines a wonderful climate, delicious food and a welcoming ambience, to create the perfect destination for a relaxing beach-based holiday. Praia da Luz was originally a fishing village, being sheltered from the Atlantic’s ferocity by the towering, Rocha Negra basalt headland. Today, tourism has replaced fishing, but fortunately this transformation has not lessened the charm of Luz. The sprawling tourist developments that extend up the hills are stylish and in-keeping, while the restaurants remain family owned and specialise in delicious regional dishes. 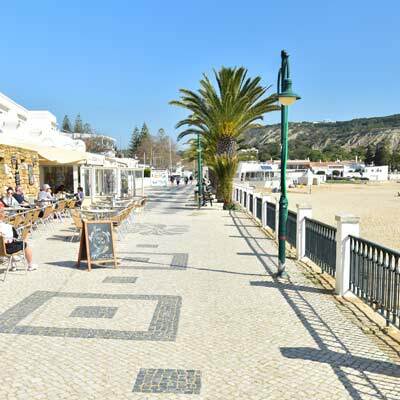 For a holiday, Praia da Luz has a welcoming and family friendly atmosphere, and offers a surprisingly wide section of restaurants, cafes and beach bars. Luz may be quiet and peaceful, but it is only 5km to the major city of Lagos with its extensive shopping, historic centre and buzzing nightlife. 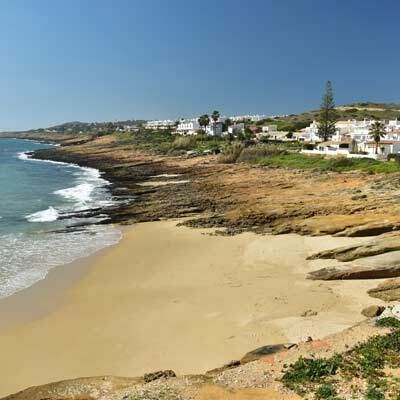 This guide will provide an introduction to Praia da Luz. March 2019 update: Forget what you read or hear in the attention-grabbing media or film-streaming websites; Praia da Luz is one of the safest places in Portugal. We recommend friends with young children to visit; if it wasn’t safe we wouldn’t encourage them to go. 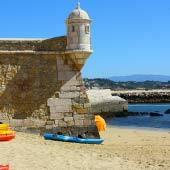 Luz is charming, unassuming and conceals a wonderful beach. The town has a homely and welcoming ambience; where visitors and long-term residents spend hot summer days socialising in the beachside cafes or relaxing on the beach. Praia da Luz is a great destination for families with young children, in part due to the calm nature of the town and safe beach, which is supervised during the summer. Luz has a wide choice of privately rented holiday homes and apartments, in the modern developments which extend up the hills behind the town. 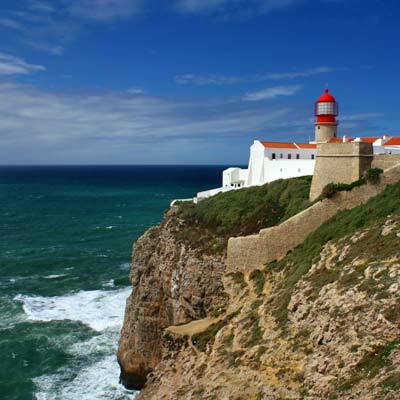 As part of a touring holiday, Luz can be a calmer base from which to explore the western side of the Algarve. 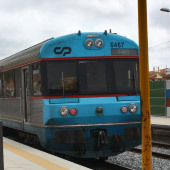 There are good public transport links to the historic city of Lagos, while there are sufficient bus services to explore westwards, towards Sagres. Luz has a popular following with retirees or long stay visitors, wishing to escape the gloom of the winter months. Luz is not designed for people wishing a fast-paced, hectic or drink-fuelled holiday. The town is a distance from the main buzz of the Algarve; for example, Slide and Splash (best water park of the Algarve) is 30km from Luz. When to Visit Luz and southern Portugal? 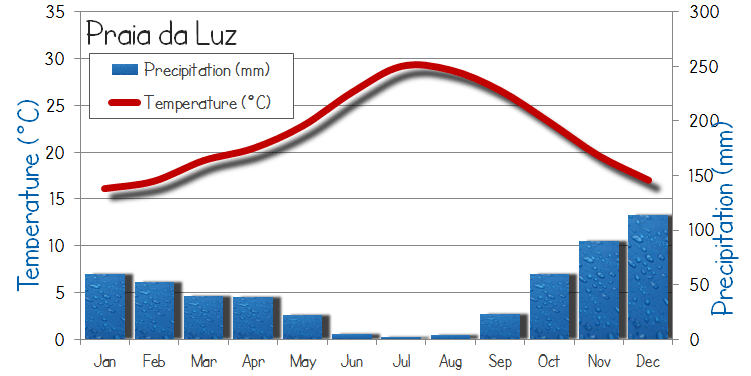 The main tourist season of Luz is from June until the end of August, with August being the busiest month. The weather is suitable for spending time on the beach from May until late September. The spring or autumn months can be a great time to visit, especially if the focus of the holiday is exploring the region. Luz closes for winter in November, but as there is a large expat community, many cafes and restaurants will remain open. The winter months in southern Portugal are mild but have unpredictable weather with an equal number of bright days as wet days. 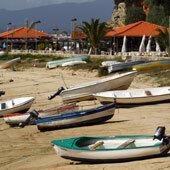 Praia da Luz is a great destination for families with young children. The town is less hectic than many other central Algarve holiday towns (Albufeira, Praia da Rocha, Lagos) and the tourist industry of Luz is focused towards families. Children are welcomed in all cafes and restaurants, and the town does not suffer from rowdy groups searching for cheap drinks. The small Lagos zoo is a favourite for younger children and is less than a 10minute drive from Luz. Families with teenagers may prefer to be based closer to the central Algarve region, which is nearer to the theme and water parks. 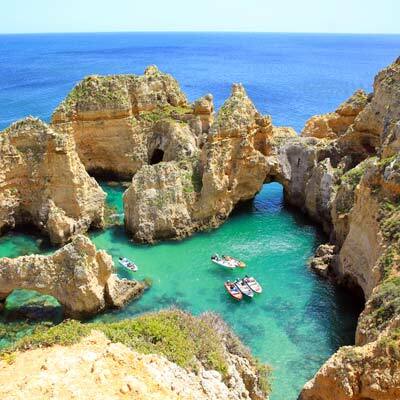 The Algarve is currently experiencing an unparalleled rejuvenation; new businesses are opening, apartments are being refurbished, and there is a sense of confidence about the region. Luz is expecting a record number of visitors for 2019, and this follows the sell-out summer in 2018. Yet to be fully discovered by foreign tourists - Vila Nova de Milfontes,	Costa Nova (Aveiro), Vila do Conde and São Martinho do Porto. Does Praia da Luz have good Beaches? Luz has one large sandy beach that nestles between the towering Rocha Negra headland and the rocky coastline close to the Fortaleza da Luz. This beach has soft golden sands and clean sea waters, while to the rear of the beach is a selection of beach cafes and restaurants. As the Praia da Luz is sheltered between the two headlands the sea waters are calm and safe, and suitable for children to bath in. The seawaters are calm but surprisingly cold, only reaching 20C at the height of the summer. In the summer there are numerous water-based activities, including banana boats, Ringos (€12 for 15min) or Kayaks (€10 per hour). Prainha da Luz... much smaller! There is a second smaller beach, the Praia Prahina, to the west of the Fortaleza da Luz and is generally much quieter than the main beach of Praia da Luz. The most distinctive natural feature of Luz is the Rocha Negra headland. This unique cliff were created 150million years ago when super-heated volcanic lava spilled through the reddish sandstone bedrock of the Algarve, to form a much more resilient bedrock. After millennia the sandstone cliffs were eroded leaving the much tougher basalt seams, which has become the locals beloved “black rock”. From the top there are spectacular views and there are challenging hiking trails to reach the viewpoint. What day trips are there? 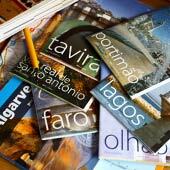 From Luz there are two main day trips, to Lagos and Sagres. Lagos is a bustling and historic city with a large marina and surrounded by beautiful beaches. Lagos’ rich seafaring heritage is reflected in the numerous historic monuments, while the pedestrianised centre is a joy to wander. To the south of the city are the highly weathered cliffs of the Ponte de Piede, a series of sea arches, grottos and caves that are best explored by fishing boat. The second recommended day trip is to Sagres, a centre for experienced surfers who come to ride the massive Atlantic swells. Sagres is a great destination if you appreciate nature’s raw power and enjoy the outdoors lifestyle; be that hiking, surfing or cycling. 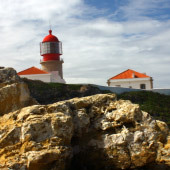 Sights of Sagres include the working fishing harbour, the unique fort and the Cabo de São Vicente, the bleak southwestern tip of mainland Europe. 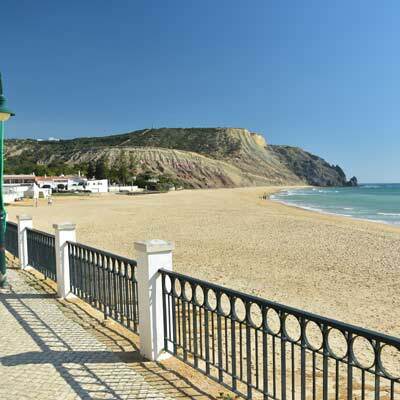 The small resort towns of Burgau and Salema could be also combined as a day trip, or visited as part of a bike ride. With a rental car the Parque Natural do Costa Vicentina coastline could be explored, with its deserted beaches and dramatic natural scenery. Praia da Luz has a mixture of small hotels, privately let apartments and larger resort complexes, which are thankfully in keeping with the character of the tow. There is a range of excellent eating establishments in Luz, which cater for a variety of tastes and cuisines. Nightlife tends to be focused around late opening cafes, restaurants or bars. 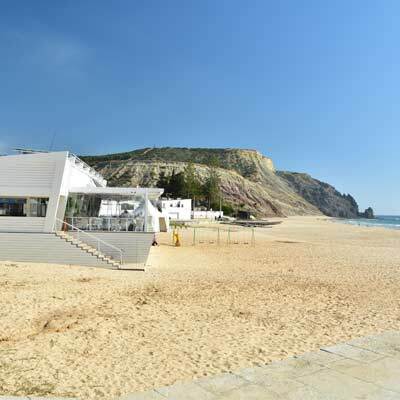 The nearest international airport for Praia da Luz is Faro Airport, 85km to the east. Lisbon airport is not a sensible choice to reach Luz, as it is much further away (230km). Faro airport is modern and has numerous flights covering the whole of Europe, and this includes all of the low-cost airlines. Travelling from Faro airport to Luz is either time consuming or expensive. Public transport is very poor, needing two buses and a train, and the entire journey can take up to four hours. 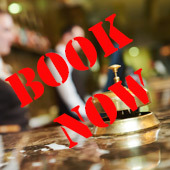 A better choice is a private transfer from the airport (around €70), or a shared transfer (summer only and when there is demand). 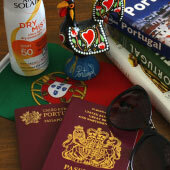 Luz is about the only destination in the Algarve where a rental car can be a benefit. Is Praia da Luz where Madeleine went missing? Yes it is, but it is unfortunate that a tragic event over ten years ago can still tarnish the town's reputation. The Algarve in general is a very safe place, and Luz is so small that nothing like that could ever happen again.